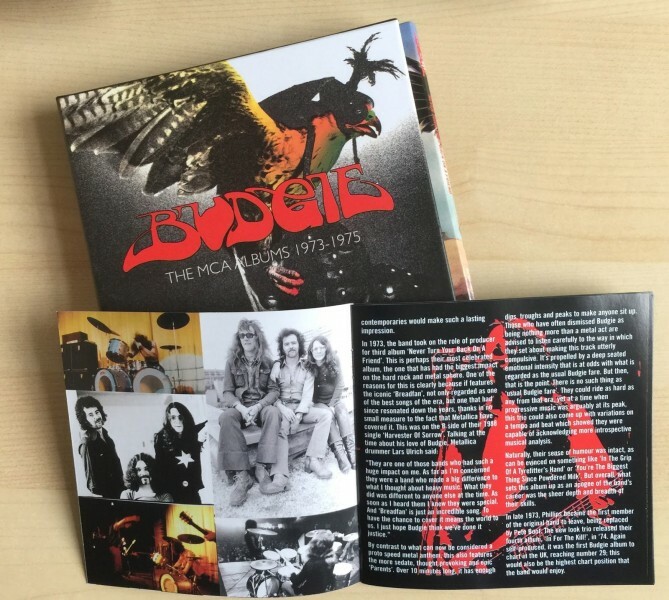 A box set containing three Budgie albums. 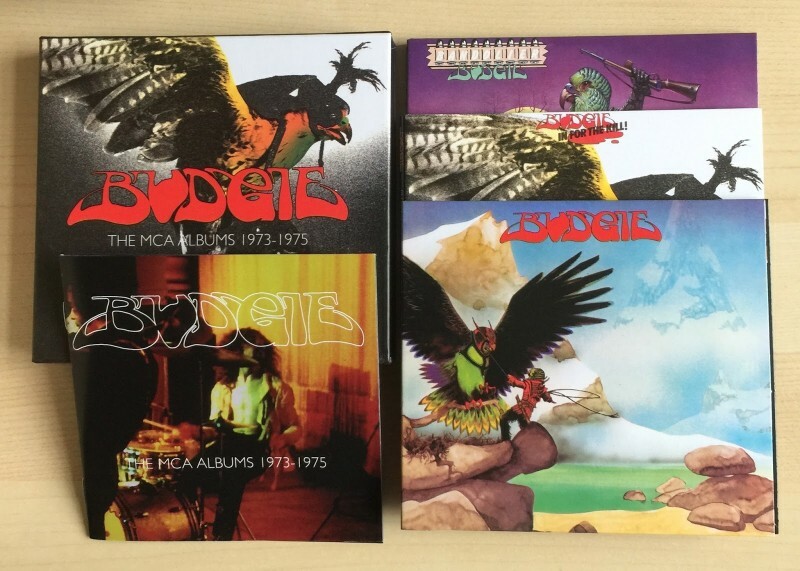 Awesome massive heavy box with 3 slim digipacks and inlays. The MCA Albums 1973-1975 will launch on June 3 and features 1973’s Never Turn Your Back On A Friend, 1974’s In For The Kill and 1975’s Bandolier. The trio of records have all been remastered from the original tapes for the first time and contain booklets containing photos and information from the era. The collection features tracks including Breadfan and Crash Course In Brain Surgery which have both been covered by Metallica.